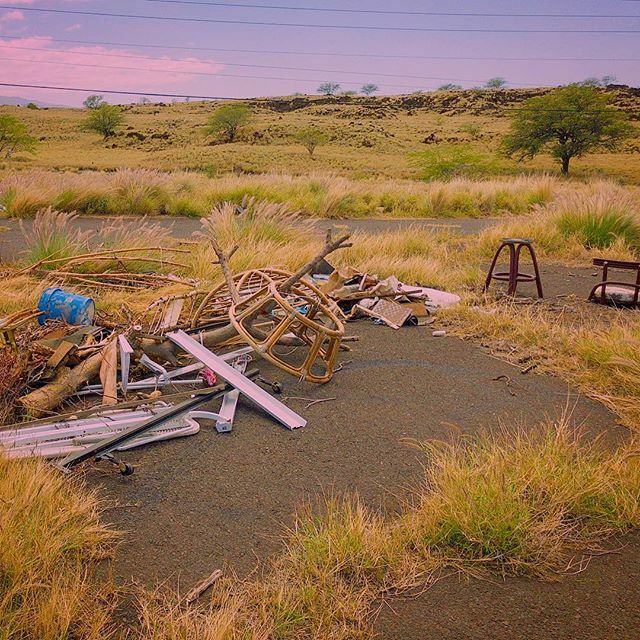 Near #WaikoloaVillage, there’s a strange little junkyard in a parking lot that was once meant to be a new housing development — at least that’s what some of my new friends heard. Either way, it’s quite an odd spot! There were even animal bones mixed in with the human trash.